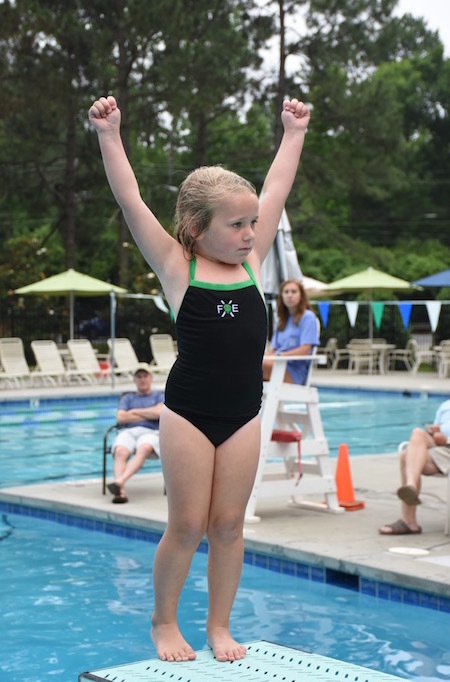 For each family, at least one parent is required to volunteer two half dive meets. We are only responsible for an announcer at our home meets. The announcer keeps the meet flowing by calling each dive, calling the judges scores, announcing the awards and transitioning through each segment of the meet from beginning to end. Here are the Announcer Script Guidelines to a give you a better idea about this job. Our team is responsible for filling 3 judges chairs at home meets and 2 judges chairs at away dive meets. 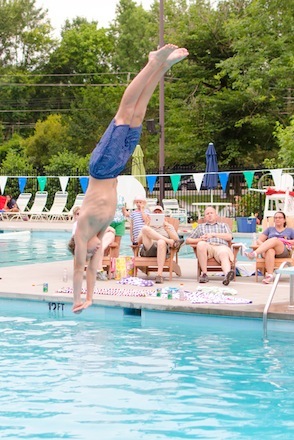 For our home meets, one of our most experienced judges is our referee, and they make all the tough calls like failed dives, across the board point deductions and maximum scores. Judging is the most important volunteer position because the judges control the diver’s scores and the outcome of the meet for our team, so it is always in our team’s best interest to fill our share of the judges chairs. Here is the leagues Judges Training Clinic Manual and a synopsis of Dive Scoring Guidelines to learn everything you need to know about judging, and then some. A suggestion to build confidence in judging is to give the dives you see at meets a mental score to see how close you are to the judges scores -- you’ll probably find that you have a better eye for scoring than you might think. Position #1: Records the 5 judges scores on the diver’s sheet as they are announced. Position #2: Crosses out the high and low score and then adds and records the total of the 3 remaining scores. Position #3: Multiplies the total of the 3 remaining scores by the degree of difficulty, records that number, and calculates the cumulative totals. Position #4: Checks the math of Positions 2 and 3 (other teams usually split the math of Positions 2 and 3 over 3 steps, and then each step checks the math of the step before). The math isn’t complicated, but usually someone confident with math likes this job. Position #5: After a group of divers completes all their dives, this job places the sheets in order of highest to lowest total score, writes the diver's place on each sheet and writes ribbons for places 1-6. This job also rotates the sheets back to the announcer after the other tablework is complete for a dive and until the group completes it final dives.